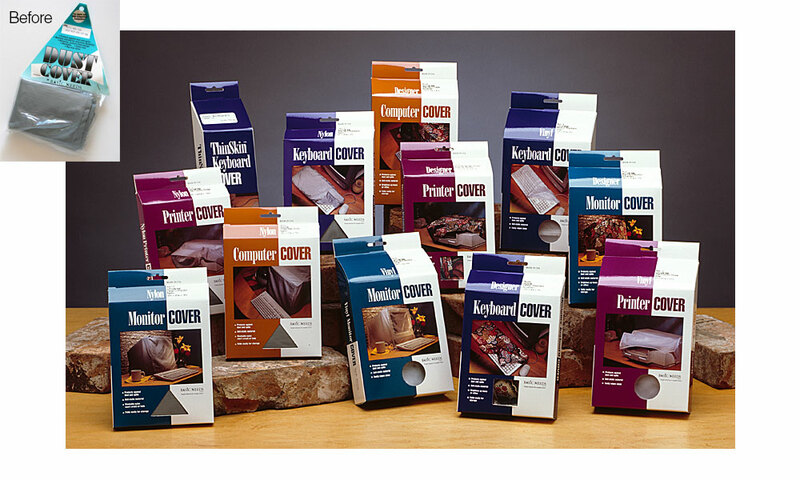 When we met Basic Needs, their product line consisted primarily of covers for office equipment. 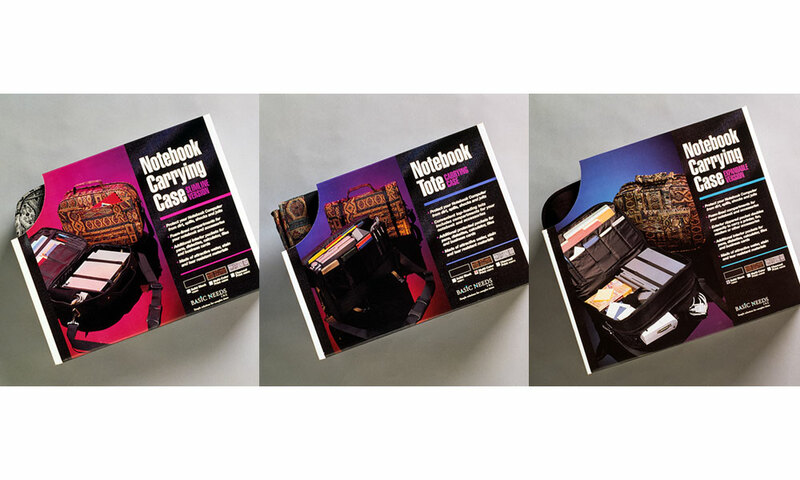 In time, they expanded to meticulously crafted black and designer colored notebook bags. 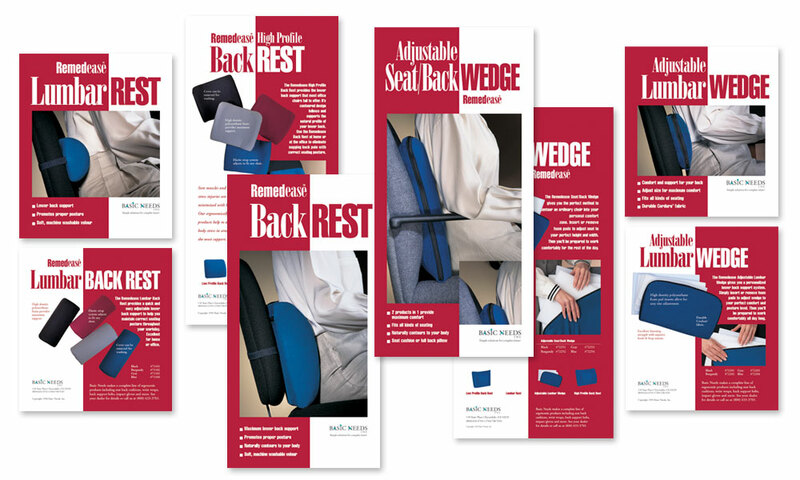 As they continued to build their offerings, Basic Needs packaged and sold a line of ergonomic products for the office place. 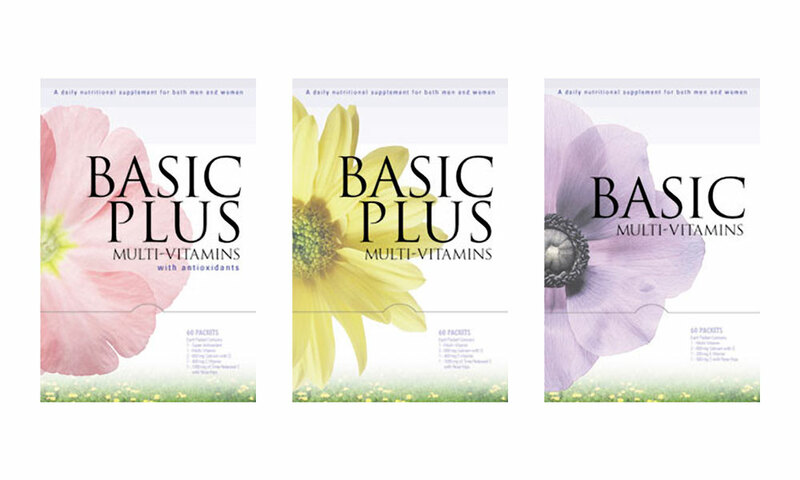 Eventually they added a slightly different office product: multivitamin packs vended from bulk boxes designed to sit in break rooms or other common spaces. 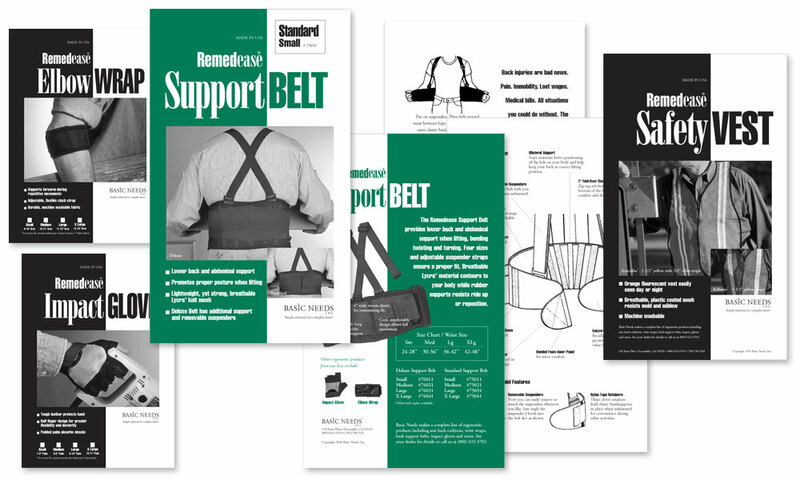 During our relationship with Basic Needs, we organized original photography for all products, designed packaging for their retail products, and created other collateral and ads to support their tradeshow efforts and built their first website. Basic Needs products were featured throughout the country in retail outlets. Their RemedEase ergonomic line was sold to giant office supply wholesaler Safeco. BrainShine then assisted Safeco to transition the package design to their brand.